Adidas is following through with its commitment to turn plastic pollution into high-performance products. And clearly, consumers are eager to take part. In 2017, the global brand sold 1 million shoes made from ocean plastic. As Interesting Engineering reports, each pair of shoes reuses 11 plastic bottles. Furthermore, recycled plastics are incorporated into the laces, heel webbing, heel lining, and sock liner covers. To create the eco-friendly shoes, Adidas partnered with Parley for the Oceans. The initiative develops products from recycled marine plastic. In addition to shoes, Parley for the Oceans and Adidas have also made tank tops made from recycled waste and leggings that are made of fabric that has Econyl regenerated material. In May of 2017, the sneakers made their debut online and in stores. Despite the fact that they are literally made of trash and are $200, Adidas sold 1 million pairs last year. According to a 2015 study, around eight million metric tons of all plastic waste enters the oceans from land every year. Most of that plastic gets sucked into giant convergences, such as the Great Pacific Garbage Patch. It is not uncommon for wildlife, such as sea turtles and birds, to ingest the plastic debris and get ill, or die. In fact, one study estimates that by 2050, 99 percent of all birds will have plastic in their guts. 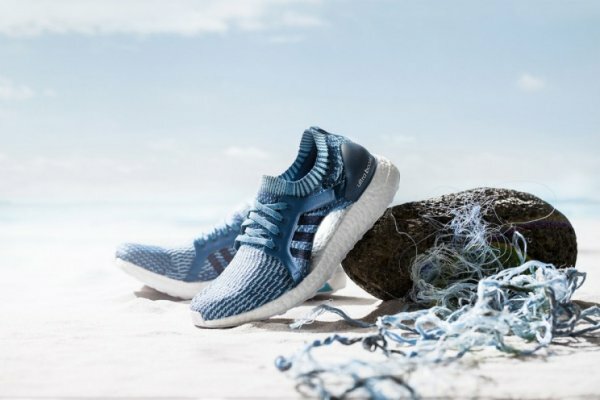 By selling sneakers that are made out of recycled ocean plastic, Adidas is alerting consumers to the pollution crisis. Furthermore, the brand is helping to remove trash from waterways. Last year, the company also switched from plastic bags to paper in its retail stores. By doing so, Adidas eliminated about 70 million plastic shopping bags. The company has also made progress in its efforts to reduce per-employee water usage and use more cotton sourced in an eco-friendly manner.
? 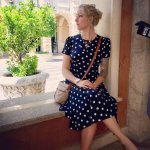 21-Year-Old Launches Vegan Restaurant To Prove Healthy Food Isn’t Just For The Rich Donatella Versace Announces She Will No Longer Use Animal Fur ?